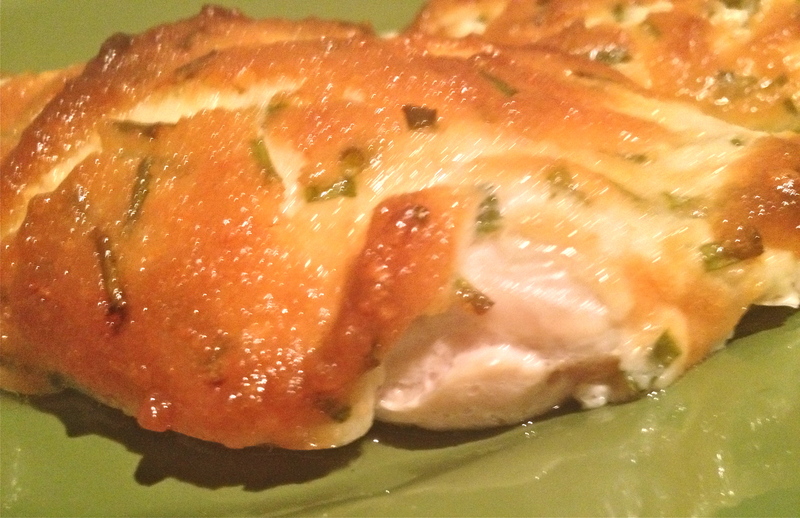 This is an adaption of Best Foods “Parmesan Crusted Chicken” . I deleted the bread crumbs because I want this recipe to be low carb, and added chives and roasted garlic to kick up the flavor a notch. I roasted the garlic in olive oil on Sunday, so I can use in multiple recipes this week – roasted garlic seems milder to me yet far more flavorful. This recipe took 5 minutes to prepare and 25 minutes to cook. 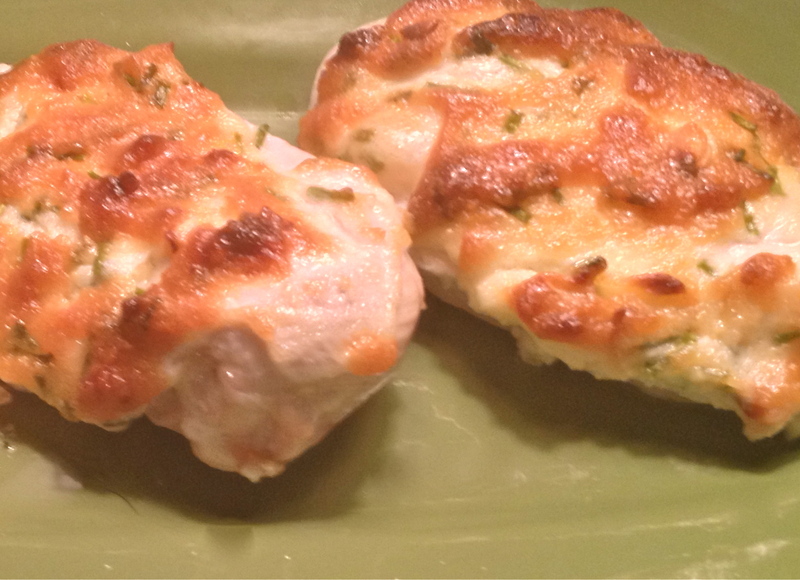 Dinner in 30 minutes and I caught up on my emails while it baked – nice! 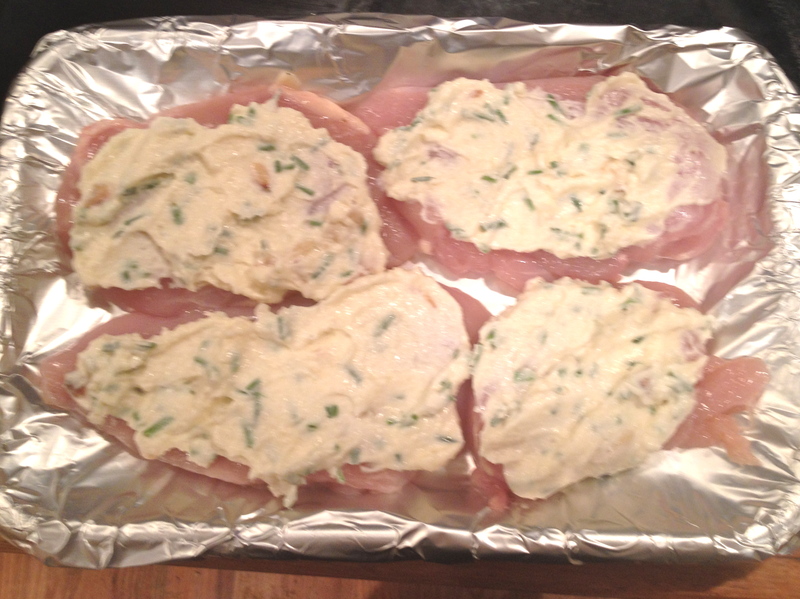 Pat dry chicken breasts and slice each breast in half. Line a baking pan with tin foil and place the four breasts in pan. Mix mayo, cheese, chives and garlic. Divide into 4 and then spread on the breasts. Bake for 25 minutes in 425 degree oven. Chicken should have a lovely, bubbly crust on top. That parmesan crust looks fantastic! Thanks John – it was pretty tasty!